OMG Posters! 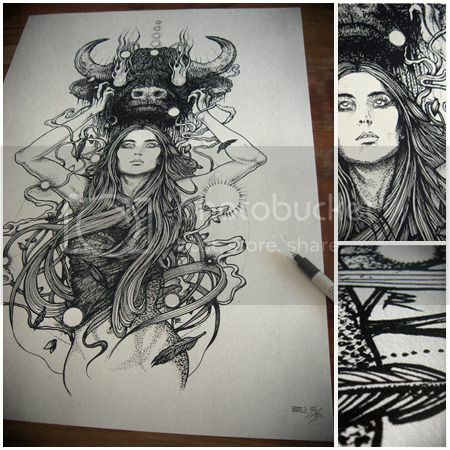 » Archive "Iron Forge" Art Print by Richey Beckett (Onsale Info) - OMG Posters! 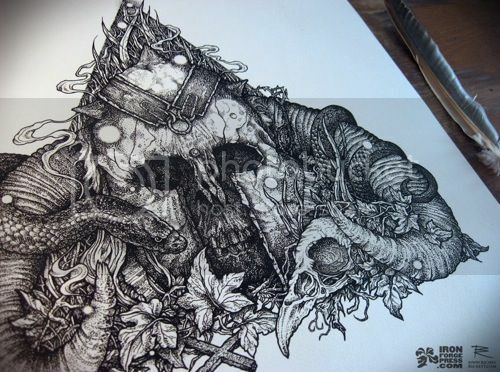 Ladies and gentlemen, let me introduce you to my favorite new (to me) artist of 2012, Richey Beckett. “Iron Forge”, a collaboration with Iron Forge Press, is a 12.5″ x 17.5″ giclee, has an edition of 50, and will cost £20. It goes up today (Monday, January 30th) at 6pm GMT (that’s 12pm Central Time). Visit his shop. While you’re there, check out these two beauties that are still in stock. So detailed. I wonder if the quill pen was actually used to make all or part of these. these are awesome! id love to see them as a screen print or letterpress. Wow….Thanks for the heads up on this guys work. 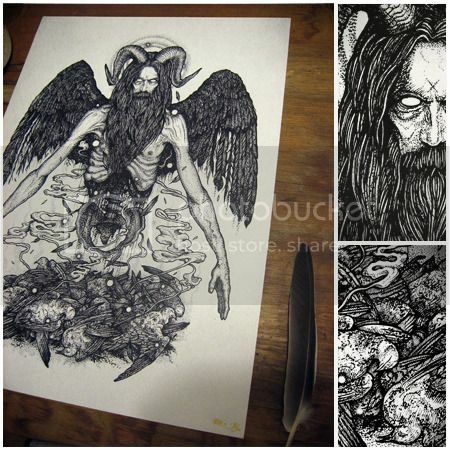 Grabbed the Minotaur and Incarnation prints. !! Thanks for the heads up as well. Killer work. For a sec I thought they were letterpresses. Wow, amazing linework and detail, gonna have to keep an eye on this guy. Someone from the Roadburn camp should get in touch with Richey . He’s make awesome prints for the fest. 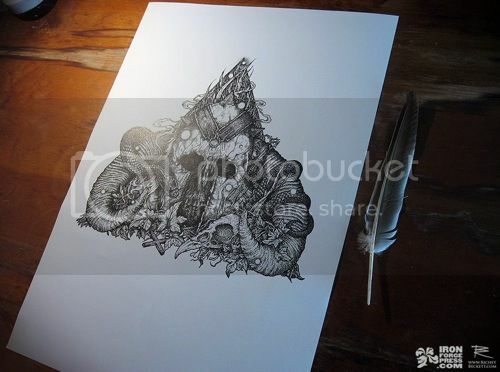 Grgeous work, very awesome style/textures. Cannot wait to see what else this guy makes.